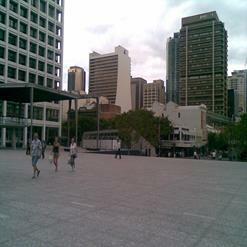 Located at South Bank, Queensland Cultural Centre is a entertainment and cultural centre. The highlight of the centre is the Gallery of Modern Art which hosts various exhibitions. The Queensland Cultural Centre also consists of the Queensland Museum, Queensland Performing Arts Centre, Queensland Art Gallery and State Library of Queensland.